Marco Polo Davao, together with its sister properties in the Philippines, Marco Polo Ortigas Manila and Marco Polo Plaza Cebu; continues the refreshing journey of exploring new and exquisite signature drinks. Following the success of Marco Polo Ortigas Manila’s Sapphire Road, Marco Polo Davao will be featuring the Oasis in the Sky of Marco Polo Plaza Cebu. 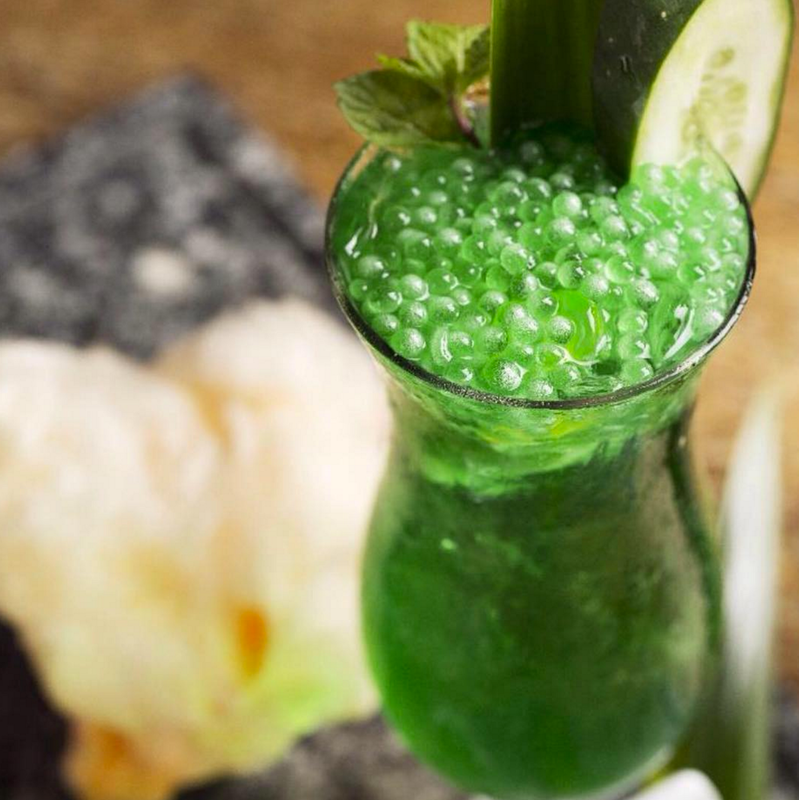 This featured drink highlights the sweet flavor and distinct aroma of pandan, rum, cucumber syrup, peach schnapps and is served with molecular pearls. Guests can enjoy it as it is or add a unique twist with a pinch of sweet cotton candy. From its name itself, the Oasis in the Sky will refresh you from the warm heat of summer. “Marco Polo Davao will take you into another delightful treat as you enjoy the taste of Marco Polo Plaza Cebu’s Oasis in the Sky, which is available in all restaurants and bars for the entire month of May”, says Dottie Würgler-Cronin, General Manager of Marco Polo Davao.